Margit Meissner discusses her flight from Paris just before the city fell to the Germans in June 1940. Margit and her mother were Austrian citizens living in Paris, which meant they were considered “enemy aliens” because Austria was annexed by Germany in 1938. They were ultimately separated and Margit was left with the responsibility of getting safely out of Paris on her own. I was alone and I was afraid and I didn’t know where I was going. I was just going and going. And there were, since there were thousands of others with me, so I felt lonely in a crowd and as you know, one can be maybe lonelier in a crowd than when one is by oneself. Over 60 years after the Holocaust, hatred, antisemitism and genocide still threaten our world. 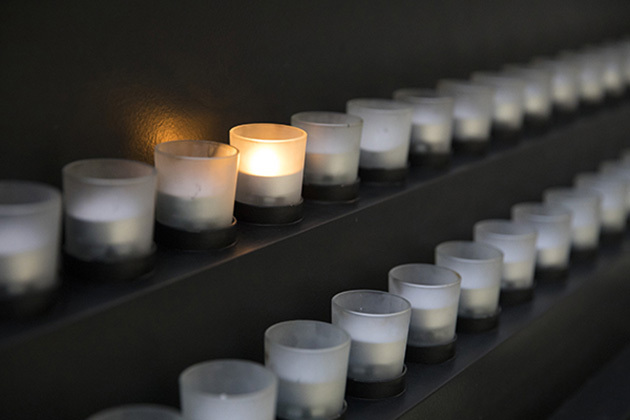 The life stories of Holocaust survivors transcend the decades and remind us of the constant need to be vigilant citizens and to stop injustice, prejudice and hatred wherever and whenever they occur. In today’s episode Margit talks with host Bill Benson about her flight from Paris just before the city fell to the Germans in June 1940. Margit and her mother were Austrian citizens living in Paris. They were separated and Margit was left with the responsibility of getting safely out of Paris on her own. You so, your mother and you were living in rented rooms and you would remain there until June of 1940 when Hitler attacked France. Your mother and you would become separated and you would be forced to flee from Paris. Tell us how you got separated and then about your fleeing from Paris, you’re leaving by yourself. So, I’ll try to make it simple. Mother was not permitted, I lived in, we lived in Paris in these rented rooms, but one day Mother had to leave Paris because we were enemy aliens. As Austrians, we now belonged to Germany, and France was at war with Germany, so we were enemy aliens. And enemy aliens were no longer permitted to live in Paris, so she had to go live in Versailles, which was about an hour out of Paris. And one day she came to the, to the apartment where she lived, and she got a notice saying that she had to present herself at the police in three days with enough food for three days with two blankets and whatever else she could carry on her back, and she would be evacuated to the South of France. So, she did that. I mean there was no question about not going. She simply, she simply presented herself to the police. I was in Paris, and she gave me 10,000 francs, which was quite a bit of money at the time, but I’ve no idea where she had the money from and I still cannot figure out how much money it really was. But she gave me 10,000 francs and she said to me, “Now it’s your turn to get us out of here.” Now whatever she meant, I‘m really not quite sure, and I have to tell you with embarrassment that I never really asked her this question during the many, many years that we lived together, because somehow it didn’t occur to me that I should ask her what she had meant at the time. So, I was in Paris by myself, and Mother was gone and I did not know where she was. And you’re just 18 years old. Streaming out of Paris, south, because the Germans were coming from the north. Now, I was, of course, continuously harassed by the French police. I was an enemy alien. I mean, so I was constantly frightened. I was frightened of the police on one hand. I was frightened of the Germans. I was frightened about being alone and not knowing what to do. So, and yet I felt responsible. So it was not, not exactly an easy position. But, finally when it looked like the Germans were about to take Paris, I went to the police station to get that final, finally get the permission to leave. And when I came to the police station, the police station was open and the policemen had gone. They had, they had joined the crowd that was escaping. So, at that point, I thought, “Well if the policemen can go, then maybe I could go.” And so, that’s when I had this idea of a bicycle. And I went and must have gotten—I went to, with my 10,000 francs. I went to buy a bicycle and after a long search, the only bicycle I could find was a men’s racing bike, you know, with these kind of handles. Well, I didn’t mind. —Cause probably every bike has been taken. Every, every bike was taken. So, I had with me…I had a little case with me which I thought would go on top of the bicycle, and in it was a change of underwear, two pounds chocolat—which is chocolate rolls, and my dress making notes, because I had almost finished my dressmaking course and I was very aware that I would have to make a living, because we certainly didn’t have any money. And for some reason, I also talk, took my oil paints along, because I had gone to painting class in Paris believing that if I needed to—if I was going to become a dress designer, I also need, needed to draw. So, it seemed very important to me that I took my, my wooden case with my oil paints. And a pair of underwear. That’s what I left with. And, and I bought a watch and a map of France. So, and that I don’t know how many of, how many thousand francs that cost out of my 10,000 francs. And then, of course, I didn’t know where to go, but I had Austrian friends. There was one couple who happened to be the granddaughter of the famous psychiatrist Sigmund Freud. She was my very good friend, and the Freuds were also Austrian citizens, she and her mother. And the rest of the Freud family was in England, so we thought we would go together to Brest which was on the, on the western most coast of France, because from there, maybe, we could get a ship to England. So, when I left Paris on my own, I had made arrangements with the Freuds to meet them in Brest where we would meet or how we would meet, we never discussed. So, I was go—on my way, on my way south with a whole thousands and thousands of French who were escaping. And there were, since there were thousands of others with me, so I felt lonely in a crowd and as you know, one can be maybe lonelier in a crowd than when one is by oneself. And there was no food anywhere, and I was not particularly a good bicyclist, but I just bicycled, bicycled. Then at night, after the first day, I arrived in a small town called Étampes where there was a policeman directing the traffic, because there were thousands of refugees. And he motioned to me and said, “Take your bicycle and go to this school over there. You can sleep on the, on the floor there.” Well, at first when he motioned me, of course, I stopped, because I thought, “Now he’s going to ask me for my papers.” Well, he wasn’t interested in my papers. So I went to the school, left my bicycle on the floor, and lay down on the floor. And as I lay down, I remembered that just before I had left Paris, somebody handed me a letter that I stuck in my pocket. And, because I didn’t know what, I didn’t know to send it, know what it was, and when I lay down on the floor of the school, I remembered the letter. And it was a letter from somebody who had been with my mother and she told me that my mother was in Gurs. That that was a detention camp in the Pyrenees. Now, I had no idea where Gurs was, but at least I knew that the Pyrenees were on the southwestern border of France. And I slept the night on the floor of the school, and when day broke early in the morning, probably 5:30, 6, I just couldn’t sleep anyway. I decided I’d continue. And so I took my bicycle and started bicycling again, and little did I know, as I found out the next day, that at 7 this, that morning, the school was bombed to bits by the Germans. So it was one those really tremendously lucky breaks that I got. And I have to tell you that if I am here today it’s mainly due to the many lucky occasions that came my way. 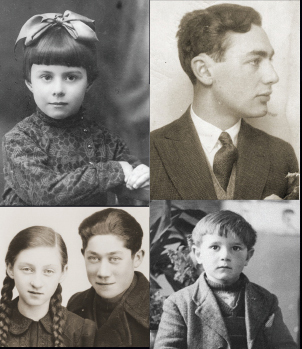 [On} our website you can also learn more about the Museum’s survivors, listen to the complete recordings of their conversations, and listen to the Museum podcasts Voices on Antisemitism and Voices on Genocide Prevention.